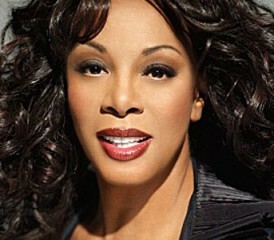 The Queen of Disco Donna Summer died on Thursday in her Naples, Florida, home after a quiet battle with lung cancer. The five-time Grammy winner was best known for hits like “Love To Love You Baby,” “Bad Girls” and “Hot Stuff”. Summer did not openly discuss her battle with cancer or asbestos exposure. The news of her death came as a surprise to many. Family, friends and fans are now recounting the positive memories of the singer, in addition to the causes of her cancer. Sources state that her cancer developed after inhaling toxic dust from the 9/11 Attacks site. This is likely to be asbestos-contaminated dust, which has been known to affect countless New Yorkers, specifically first-responders to the September attacks. Asbestos is known to cause multiple diseases including lung cancer, mesothelioma, asbestosis and pleural plaques. Exposure to this hazardous material traditionally occurs to people who work in occupational fields and in industrial settings. In the case of Summer, her proximity to Ground Zero may be the culprit. She was in her New York apartment on Sept. 11, 2001, when the attacks occurred. Asbestos dust clouds were prevalent throughout the city following the collapse of the Twin Towers. In 2008, Summer recounted her feelings of that dreadful day. Lung cancer is cited as the leading cause of cancer deaths for Americans, accounting for nearly 200,000 diagnoses each year. Asbestos is believed to cause as much as four percent of all lung cancer cases. Like Summer, countless New Yorkers have developed asbestos-related diseases and respiratory issues as a result of the dust cloud that lingered in the city. Thousands of Ground Zero workers have reportedly developed chronic diseases after the attacks. If it is confirmed that the Queen of Disco’s cancer was caused by asbestos exposure, she would join the list of other notable Americans to have died from an asbestos disease. According to sources, the death came unexpectedly to the family. Relatives have reached comfort through reminiscing about the singer’s contributions to music, society and family. “Early this morning, we lost Donna Summer Sudano, a woman of many gifts, the greatest being her faith,” the family released in a statement. President Barack Obama also commented on the news of Summer’s death by releasing a statement. ET reported that Summer will be laid to rest next week in Nashville, Tennessee. Summer is survived by a husband and three children. Like Summer, countless New Yorkers have developed asbestos-related diseases and respiratory issues as a result of the dust cloud that lingered in the city. Thousands of Ground Zero workers have reportedly developed chronic diseases after the attacks. NPR. (2012, May 17). Donna Summer, The Queen Of Disco, Dies At 63.